Metal CNC machines are sophisticated instruments with complex manufacturing processes. In the manufacturing process, monitoring quality is a major prerequisite for cost savings and profitability. In this post, we are going to discuss some magnificent problems may occur during producing procedures and find accurate solutions to deal with them, so that the production efficiency will be improved and raw material loss and labor costs can be reduced. Moreover, we need to focus on the equipment capability and accuracy to maintain equipment life. 1. What problems can occur and how to fix them? Metal CNC Tools. Image source. In CNC, a “crash” occurs when the machine moves in such a way that is harmful to the machine, tools, or parts being machined, sometimes resulting in bending or breakage of cutting tools, accessory clamps, vises, and fixtures, or causing damage to the machine itself by bending guide rails, breaking drive screws, or causing structural components to crack or deform under strain. Many Metal CNC machine tools have no inherent sense of the absolute position of the table or tools when turned on. They must be manually “homed” or “zeroed” to have any reference to work from, and these limits are just for figuring out the location of the part to work with it, and aren’t really any sort of hard motion limit on the mechanism. It is often possible to drive the machine outside the physical bounds of its drive mechanism, resulting in a collision with itself or damage to the drive mechanism. Many machines implement control parameters limiting axis motion past a certain limit in addition to physical limit switches. However, these parameters can often be changed by the operator. The collision problem is also sometimes caused by the operator’s mistakes. For example, the program is set incorrectly, or the handwheel is turned in the wrong direction when the operation is performed manually. Therefore, in the actual operation process, attention should be paid to repeatedly checking the program parameters, and the manufacturer should also focus on the training of operators. Since the guide rails of Metal CNC machine tools generally adopt rolling friction pairs, the failure of the feed drive chain is mainly caused by the deterioration of the motion quality, such as the mechanical parts not moving to the specified position, the operation is interrupted, the positioning accuracy is decreased, and the backlash is increased. These kinds of failures can be solved by adjusting the pre-tensioning force of each part, adjusting the loosening link, improving the motion accuracy and adjusting the compensation link. More than 50% of the faults of CNC machines with automatic tool changer are related to the automatic tool changer. The main performances are: the positioning error is too large, the robot grip holder is unstable, and the movement error occurs. When the fault is serious, the tool change is stuck and the machine is forced to stop working. Metal CNC machines can reach more than 150 degrees on the inside. Filters can get clogged with dirt and debris, which can push temperatures even higher. Of course, this can cause serious damage to CNC machine. Have a regular schedule for clearing dirt and dust from the AC units and filters. Cutting fluids and metal shavings should be cleared away routinely, as they can contaminate equipments. Overheating rarely results from problems other than these. If you do maintenance from time to time, you shouldn’t have to worry about it. The positioning accuracy of the CNC on the market is basically 0.005, and the repeat positioning accuracy is 0.002 or 0.003, which requires high processing precision. The method of maintaining machining accuracy involves four aspects. First of all, before turning on the equipment, you need to preheat the machine to ensure the machining accuracy. Then, when pressing the workpiece, pay attention to avoiding the machined surface and the hole, and the workpiece must be firmly clamped. During the machining process, the surface of the workpiece should be wiped clean to ensure the accuracy of the tool. When the drilling is completed, the air gun should be used to clean the debris in time. Finally, when the processing is finished, the precision hole and the precision of the finishing groove should be measured in time to ensure the assembly of the mold after the workpiece is unloaded. 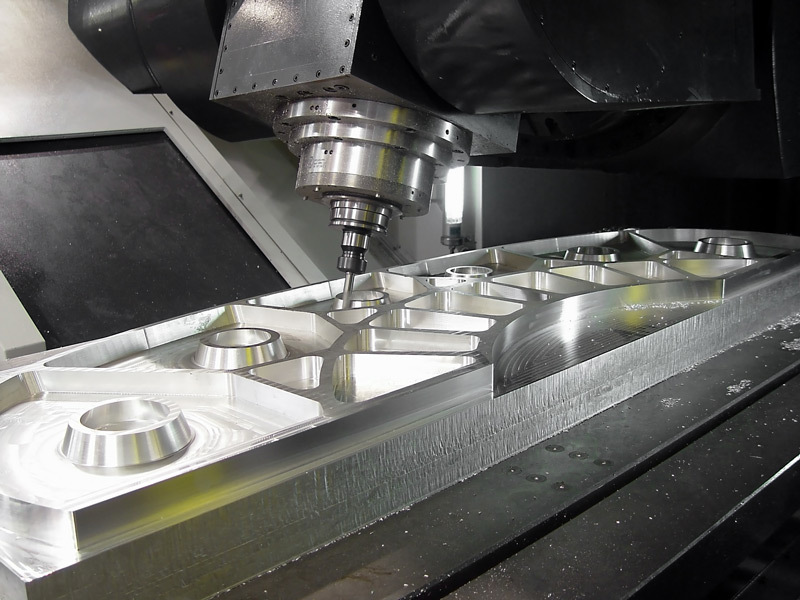 Quality in a machining center must be built in from the design through delivery and set-up. All CNCs are shipped with special handling to avoid shocks, and are set up carefully by factory-trained technicians. That’s all about quality issues of Metal CNC machines. We hope it would be helpful. Feel free to leave your comments, if you have any questions.